As we grow older we realize the importance of learning as much as we can about our ancestry and passing that knowledge on to succeeding generations. I look forward to being of service to you so that you can determine your ancestral roots and develop a better understanding of who you are and where you came from. Your medical history, your likes and dislikes, skills and abilities, intelligence, etc., all come from your ancestors. ​Search for yourself using our links, or we will do the research for you. progressing into his lungs, which was eventually fatal. All I ever knew about Grandpa Jean was that he was 6'4" way back when, (a giant of a man) who was an excellent dancer, a florist, and who hailed from France. I knew nothing more about him. Then in 2009, I received an email from Jean-Claude Mialocq of Jurancon, France, who indicated that we may be related and asked if I would be interested in exploring this. I said I would and started my search, joining Ancestry.com. from our branch of the family. And were we related at all? Gold has been a valuable and highly sought-after precious metal for coinage, jewelry, and other arts since long before the beginning of recorded history. A total of 171,300 only tonnes of gold have been mined in human history, according to GFMS as of 2011, making it even more valuable due to its scarcity. Our American currency, the Dollar, was backed by gold, meaning that every dollar on deposit in a U.S. bank, was backed by an equal amount of gold on deposit in bank vaults. Then, in 1971 when the world's reserve currency at the time, the British Sterling, was crashing, after 200 years. Richard Nixon took us off the Gold Standard and converted to a fiat currency allowing him to print the Dollar backed by nothing but thin air. NOTHING. The more you have of something, the less you need it and its value soon becomes almost worthless. Supply and demand. 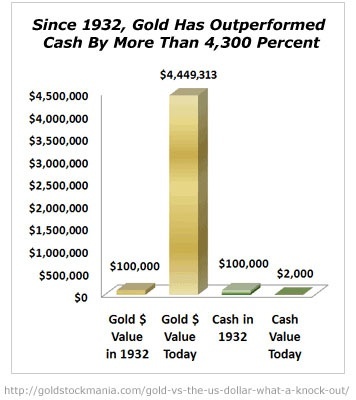 Since then, the dollar no longer protected by Gold, HAS LOST 96% OF ITS VALUE! I don't want to have my life dependent upon the Dollar during the final 4% of its lifetime. It's inevitable. According to a study of 775 fiat currencies by DollarDaze.org, no fiat currency has held its value. Twenty percent (20%) failed through hyperinflation, 21% were destroyed by war, 12% destroyed by independence, 24% were monetarily reformed, and 23% are still in circulation and their outcomes are as yet undetermined. It's really no secret, that everyone needs GOLD. Don't believe the wealthy who warn you to stay away from gold -- it will lose its value. Of course it has dropped considerably since the Feds began their manic printing of worthless paper and it may continue to fall. But will it do what it has never done and fail to recover? That's funny. For centuries the rich and powerful have been doing everything in their power including trying to keep it out of the hands of the "common man". Acquiring physical gold and silver is by far the greatest act of wisdom and rebellion any Individual can and should be doing right now. It is both a Bullet to rebel against the Elite’s corrupt system, and a Shield to protect your family and wealth in a post-dollar world. Acquiring physical gold and silver is non-violent, non-compliant resistance. Most importantly, it works outside of the system. What if the system fails? Do you really want 100% of your money inside the system? I don't. Banks have just completed the biggest organized theft of real estate homes and their equity in our country's history with the blessing and/or complicity of our courts which sat idly by while forged Assignments and Deeds of Trust flooded their courtrooms. They got more billions from the taxpayers in the form of "bailouts", and are this very day stealing from your bank accounts. How? Bernanke's refusal to raise interest rates despite the rocketing stock market was literally stealing billions from depositors who should be receiving interest on their deposited funds. Many checking accounts now pay more interest than CD's. In fact, banks are now seriously discussing "Negative interest" savings accounts. They'll charge you to hold your money, which becomes legally theirs the minute you deposit it. Investors worried that﻿ inflation and financial market turmoil will wipe out the value of their cash have poured money into gold over the past decade. Prices have gained almost 500% since 2001 compared to a 12% increase in MSCI's world equity index. Sales of gold bars and coins were worth almost $77 billion in 2011, up from just $3.5 billion in 2002, according to data from the World Gold Council. While people are buying up gold internationally in large quantities, finding gold in transaction-friendly amounts has eluded us until now. First, the Karatbar arrived, along with not only convenient and attractive cards embedded with pure gold in 1-gram denominations along with a growing network of merchants willing to accept them. 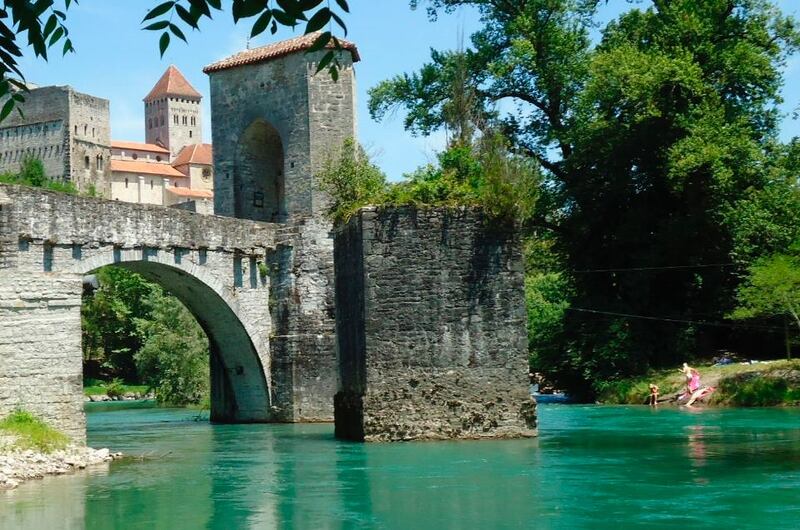 Now the Suisse Manufacturer, Valcambi, has thrilled the investment community. The following is a 2-minute video that will say far more than words. The new 50 gram Valcambi Gold CombiBars ( 1.607 troy oz ) are breakable .9999 fine gold bars designed for easy division into smaller 1 gram Gold Bars for trade or crisis payment. These divisible Gold Bars are state of the art, produced by one of the world's most trusted gold refiners, Valcambi Suisse. CombiBars™ are a patented invention of the German precious metal company ESG. They are exclusively produced, distributed and licensed by Valcambi, a swiss-based bullion bar manufacturer. Each dividable Gold Bar weighs 50 grams, each produced with precise break points allowing for easy separation into 1 gram mini gold pieces without any loss of gold material. The size of a credit card, the 50 gram Gold CombiBars (1.607 oz) are easily broken into one gram pieces, each 1 gram Gold piece has it's hallmark and purity individually stamped, making them very easy to identify as a gift and or use as money in times of crisis. These breakable Gold Bars are IRA accepted and minted according to the high quality for which Valcambi Suisse is famous. 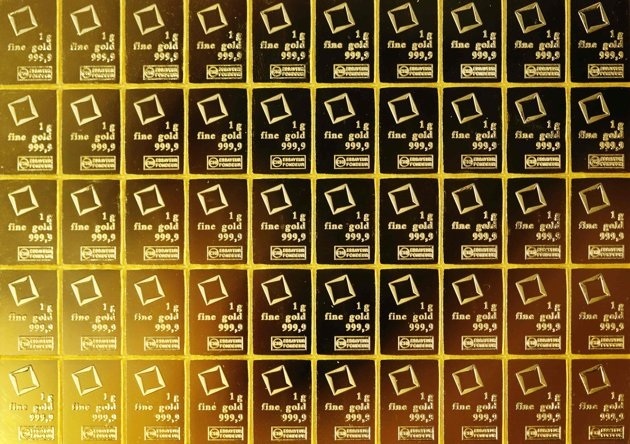 These new Gold CombiBars also meet the highest optical and technical standards in the bullion industry. Each breakable Gold CombiBar comes with a unique serial code, including 2 letters and 6 numbers stamped on the bar, plus a serial numbered certificate. Clearly, if you can accumulate about $2500 or so, you will be establishing a secure investment that will protect you during times of crisis, as well as increase in value as gold has the past thousands of years. The advantage of buying large quantities of regular small 1g bars versus one large bar are in price, flexibility and storage as they can easily be piled up in a safe or deposit box. 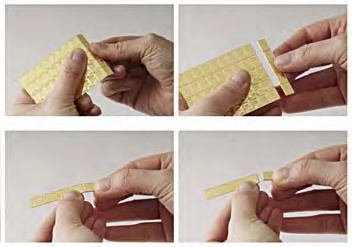 Instead of buying regular bullion bars or coins, resale is much easier and flexible as you can divide your bars into the desired denominations. The Valcabri Combi-Bar will be the wave of the future. One bar is like carrying fifty, 50-dollar bills on a credit card that fits in your pocket. Amazing. One of the best ways to acquire Gold in small denominations is the CombiBar. FOR THE 98% WHO CAN'T AFFORD TO ACQUIRE GOLD IN THE USUAL OUNCE SIZE, WE HAVE THE PERFECT OPPORTUNITY FOR YOU.